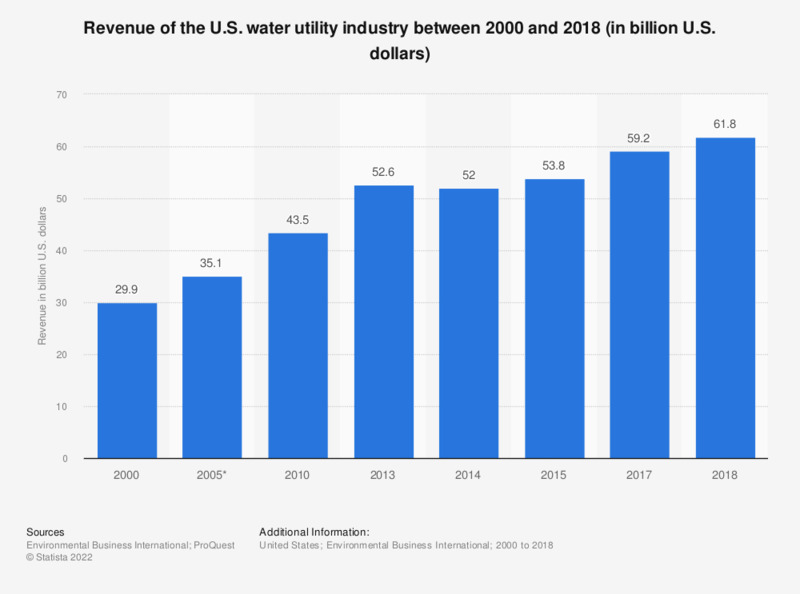 This statistic represents the revenue of the water utility industry in the United States between 2000 and 2015. In 2015, this particular industry generated revenue of approximately 53.8 billion U.S. dollars. Revenue generated with water sales, predominantly in public sector. *Figures for 2005 and 2011 are taken from previous publications. Everything On "American Water" in One Document: Edited and Divided into Handy Chapters. Including Detailed References. Have you set up metering/monitoring systems to prevent water loss throughout the supply cycle?